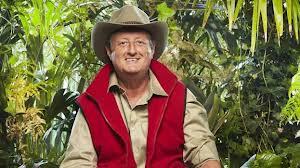 ERIC BRISTOW MBE is considered to be the greatest darts player of all time. He was an unmistakable figure on the oche during the 1980s, and became renowned not just for the number of world titles he won but for his arrogance on stage and off it. In his book Bristow revealed how darts proved a salvation from his early life as a cat burglar, shoplifter and thug, introducing him to a new world of beer, babes and undreamed of success. He trained his protégé Phil 'The Power' Taylor, turning him into the most successful player darts has ever known. Bristow holds nothing back as he reveals his battle with dartitis, a psychological condition which left him unable to let go of the dart and almost destroyed his career; his relationship with girlfriend and former women's world darts champion Maureen Flowers; and his occasional all-too-public falls from grace.